Today, October 13th, is my late father’s birthday. He passed away in 2009. 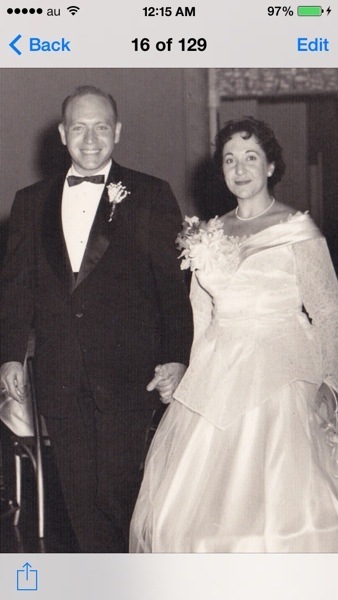 Here he is with my mother on their wedding day in 1955. He would have been 87 today. My mother is still doing well and is 86 now.